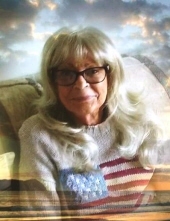 Mary Ellen Singer, age 77, of White Pine, Tennessee, formerly of Mansfield, Ohio passed away Thursday evening, November 9, 2018 after a long battle with cancer. Mary was born in Summersville, West Virginia to John Donelson and Juanita Taylor Donelson. She graduate from Nicholas County High School. In addition to her parents, she is preceded in death by her sons, Simon Fitzwater and Shannon Singer; daughter, Cathy Walker; brothers, John and Curtis Donelson. Mary is survived by her daughter, Sharon Terrell; several grandchildren; sister, Sandra Enarson; brothers, James Donelson and Michael Donelson; several nieces and nephews. A Celebration of Life will be held at a later date in Mansfield. To send flowers or a remembrance gift to the family of Mary Ellen Singer, please visit our Tribute Store. "Email Address" would like to share the life celebration of Mary Ellen Singer. Click on the "link" to go to share a favorite memory or leave a condolence message for the family.